It’s always an honor when one of our projects is recognized. It’s an even greater honor when one of our projects become the first recipient of a national award. 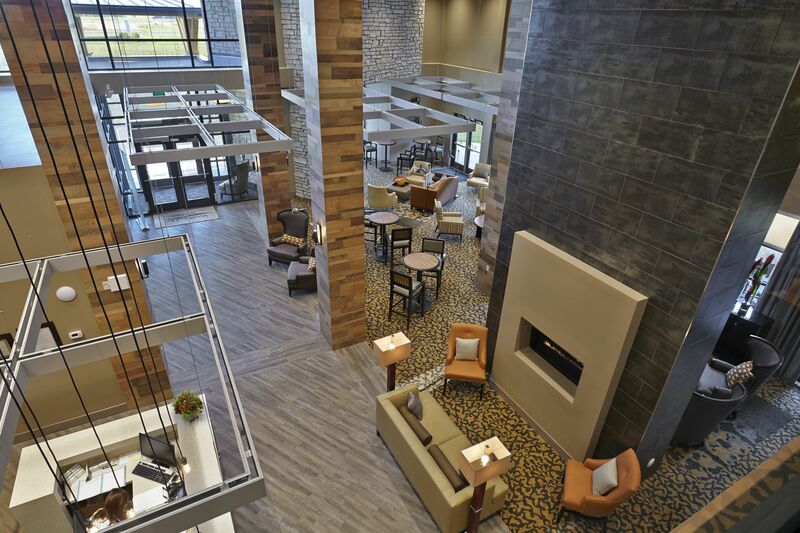 That’s exactly what happened this month, after Senior Housing News selected Wellbrooke of Westfield as the winner of the Design and Architecture Award for the country’s best “New Skilled Nursing” center. We worked closely with Wellbrooke of Westfield’s owner and manager, Mainstreet Property Group, to develop their vision. Mainstreet was looking for an innovative approach to a health and wellness center. The result was a hospitality-inspired design with an urban lodge atmosphere and a sophisticated flare. We also worked with Direct Supply® Aptura®, the owner’s interior design consultant, on innovative design and furnishing concepts. American Structurepoint Architect Tim Wise is one of the faces behind the design of Wellbrooke of Westfield. When it comes to designing senior living facilities, it’s personal for Tim. After recently placing his father in a nursing facility, he toured enough facilities to know what he liked and most importantly, what he didn’t like. For him, it was all about creating a culture that empowered residents to get out of their rooms and into living. “My goal was to create an environment that promoted social interaction and healing. I would ask myself, is this somewhere that I would send my own father?” said Wise. The design helps to create spaces that engage all the senses. This includes the large amount of natural light streaming into the facility, the variety of textures on the interior and exterior surfaces, and contrasting colors of surfaces meant to help guide people who are visually impaired between spaces. The team created a hotel experience, bringing interactive spaces into central locations, such as the café, pub and dining facilities that rival restaurant service and decor. They selected stained wood for the interiors. This is not a dry or dull medical space; rather, it’s a resort experience. “The hotel-like amenities create a sense of place for residents as well as nurture opportunities for social interaction and healing. We are excited to see this facility meet or exceed the design intent for years to come,” said Wise. We’re excited to share this designation with Mainstreet Property Group!